Nestled on a headland between the magnificent Rainbow Bay and Coolangatta beach, Greenmount Beach Hotel is perfectly positioned to take advantage of its idyllic tropical climate and spectacular coastal panorama. 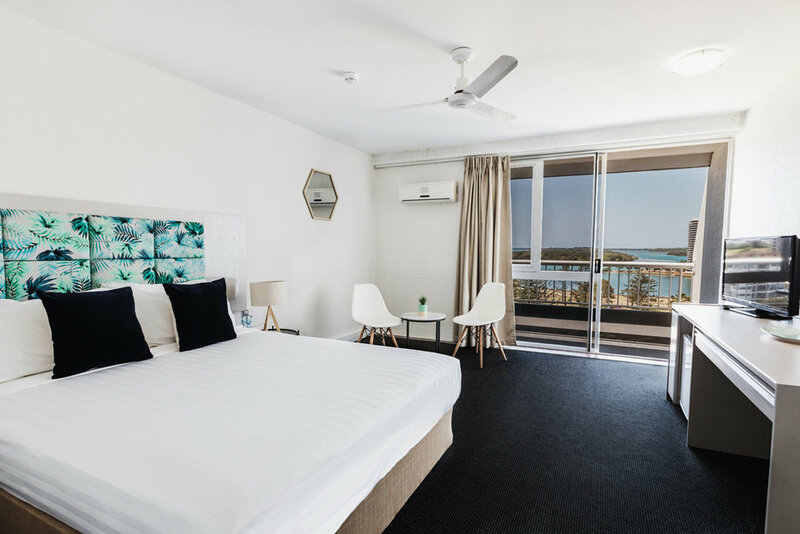 Located on the southern end of the Gold Coast, the fabulous Greenmount Beach Hotel epitomises what the 'sunshine state' is all about... fun, surf and relaxation. Make a splash in the outdoor pool or take some time out and relax on the communal deck. Immersive yourself in the local area with everything you need at your fingertips from some of the Gold Coast's best cafes, restaurants, bars and shopping, not to mention the most iconic surf breaks only a short stroll away. All conveniently located only 10 minutes drive from Gold Coast airport.